In 1854, Perley Silverthorn established a fishing station and cooperage at this site. The dangerous reef that extends 1½ miles east from Sturgeon Point presented a serious hazard to ships so one of the earliest lighthouses in Michigan was built in 1869 and placed in operation in 1870. Mr. Silverthorn, the first Keeper, served from 1870 until 1874. In 1939 the lighthouse was electrified and automated and in 1941 the last personnel departed. The lighthouse fell into disrepair due to neglect and vandalism. 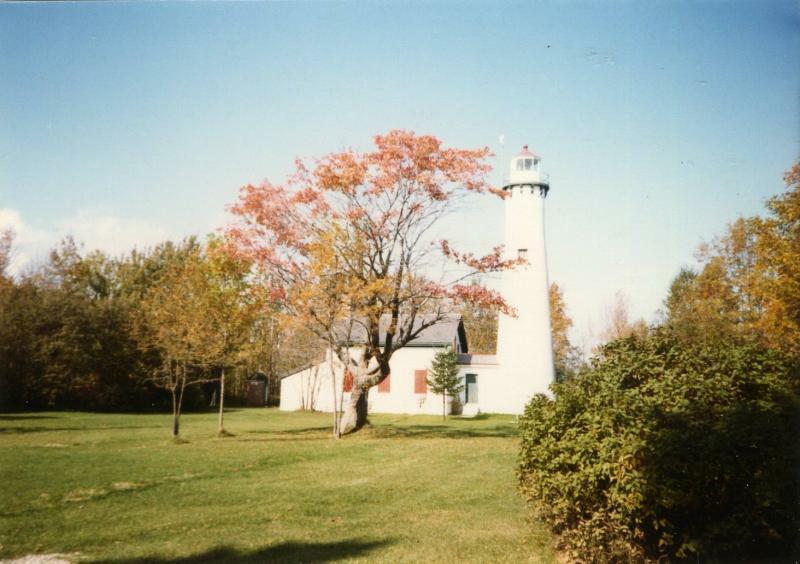 In 1982 the Alcona Historical Society, under the leadership of Floyd Benghauser, leased the Keeper's house and Lighthouse and restored it to its 1890s grandeur, using mostly volunteer labor. The light with its 3.5 order Fresnel lens, no longer used by the Coast Guard, is kept operational by the Alcona Historical Society for boaters. Open 7 days a week mid-June through Labor Day Open Weekends, Memorial Day through the end of September 11 a.m. - 4 p.m. Lighthouse Tower Open Friday, Saturday & Sunday 11 a.m. - 3:30 p.m.